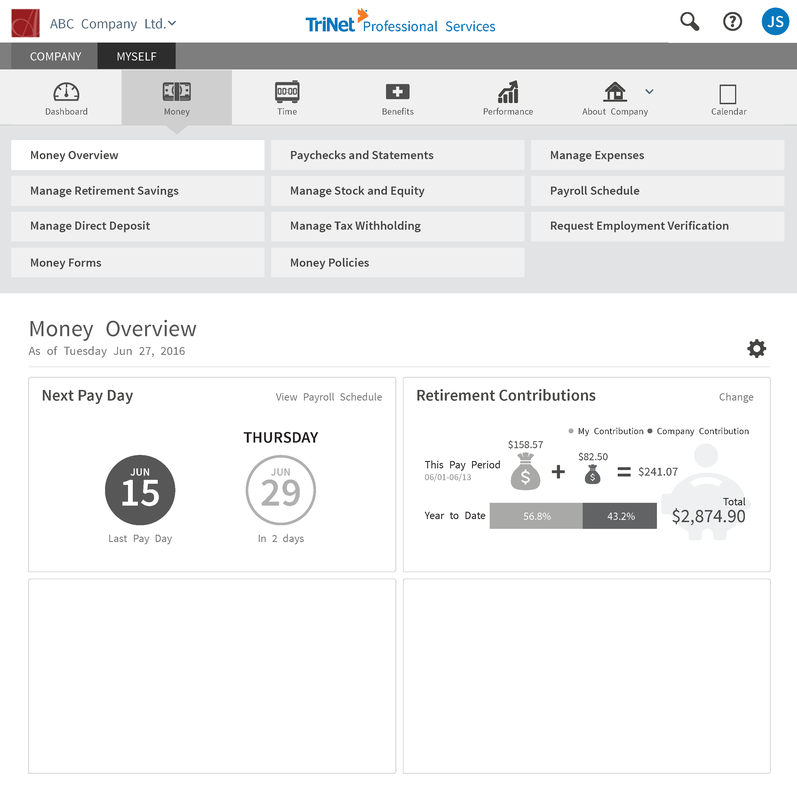 TriNet is a cloud-based professional employer organization (PEO) for small and medium-sized businesses. TriNet administers payroll and health benefits and advises clients on employment law compliance and risk reduction, acting in some cases as an outsourced human resources department. 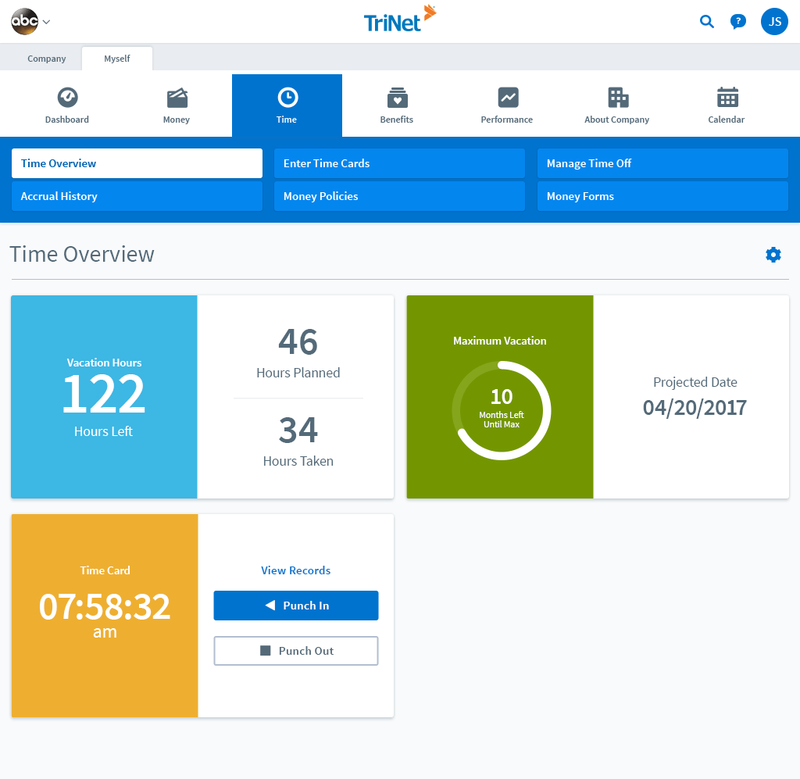 Our team was charged with redesigning Trinet’s massive collection of disparate products into a single unified user experience. 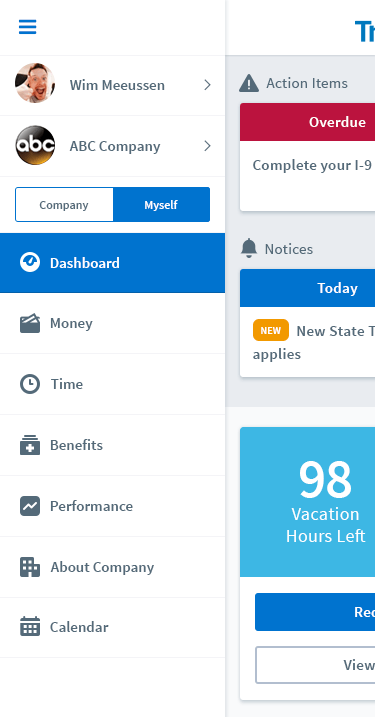 We held several rounds of user tests while iterating on the design and IA of the navigation. What you are seeing is from the 3rd round of testing. The project was a group effort with myself holding about 33% of the responsibility for the design.